I have actually not read Marie Lu's first series. My husband did though. He loved the books so much that I even saw him sneaking a read during church! I will definitely be buying this for him and would like to read it myself. I can't wait for this one! I loved Legend and I can't wait to read more from this awesome author! I can't wait to get hold of this one as well, it sounds fantastic! OMG This is one of my most awaited books for 2014 :D I love love love Legend series and I hope you get to read it soon! 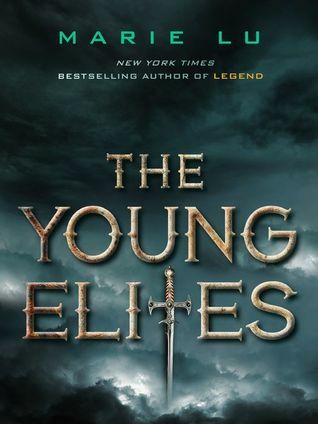 I'm very excited to read The Young Elites too! I adored the Legend series and this sounds like it's going to be pretty epic. OOh nice! Haven't read this author but hear good things! Great picks, which reminds me i need to start her Legend series. Sounds amazing. I've heard such great things about her Legends series. I need to read those books soon. I can't wait for this one either! I really liked the first Legend book ( I haven't read the rest yet!) so I'm super excited to read anything else by Marie Lu. Great pick! Thanks for sharing! YAS! Super excited for this one.